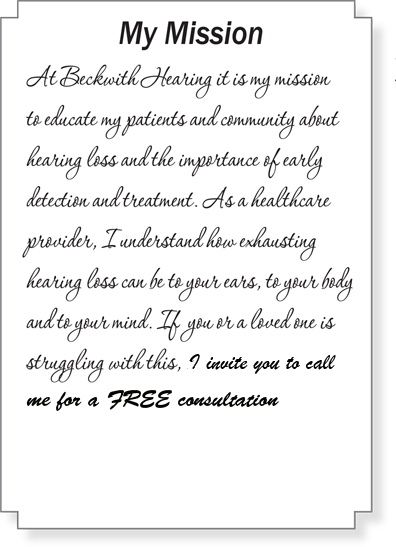 It’s not about selling you hearing aids. It’s about you getting the help you need for your lifestyle and budget. At Beckwith hearing, I am the owner and you are the boss. I don’t answer to anyone but you. Don’t pay extra for large staffs & expensive marketing, all it takes is Me and You working together. 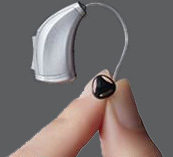 FREE clean & check of your current hearing aids. Take advantage of this special Internet offer! On any pair of Starkey’s Newest Technology. Limit 1 per Patient. Not valid with any other offers or discounts.